You and millions of other people practice sports on a daily basis. You have inspired #SPORTis to develop certified natural cosmetic products - made in Austria - that are specially tailored to your needs. 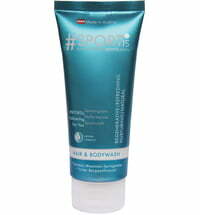 #SPORTis should be easy, meet the highest requirements and be captivating with fresh fragrances. The packing size of #SPORTis was chosen specifically to perfectly fit into your gym bag. To ensure, that fewer products are needed, we focus on multi-functional formulations. #SPORTis stands for 100% natural, affordable and certified natural cosmetics of the highest quality - Produced in Austria.